Is this 'wealth care' or the next big thing in medicine? Dr. Alan Sheff, who charges patients an additional $1,800 a year, is able to spend more time with his patients. How'd you like to have longer appointments with your doctor, without feeling rushed out the door? How about reaching your physician by email or cell phone at all hours? Or having extensive screenings aimed at managing or even preventing chronic illnesses? 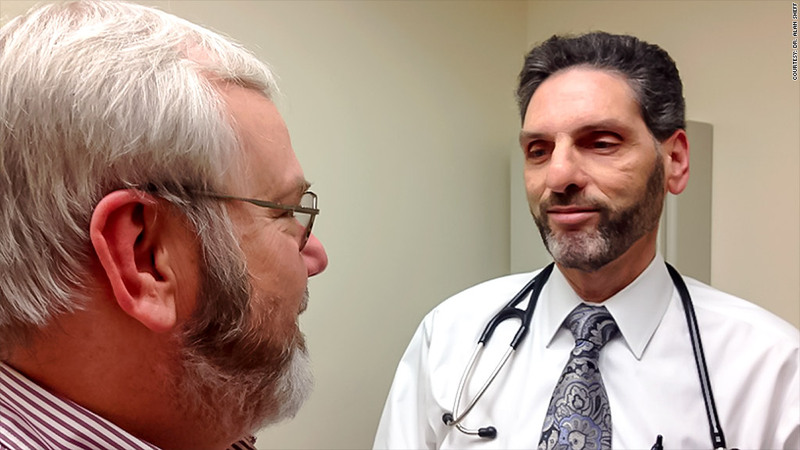 Patients can receive this type of comprehensive service from a growing number of primary care doctors who've switched to concierge medicine. But it comes at a price, often hundreds or thousands of dollars a year, and at a time when many Americans are already struggling to afford their insurance and medical care. Concierge doctors generally charge patients a membership fee -- typically $1,800 a year -- outside of the traditional insurance system. They often have fewer patients -- usually no more than 600, compared to 2,500-plus for a typical physician -- so they can spend more time with each one. Beyond those common traits, there are many models of concierge medicine, which is also called private physician or direct pay practices. Some doctors target the wealthy, charging five-figures to handle all aspects of their health care, from negotiating bills with hospitals to being in the operating room. Others charge a flat rate of $50 a month for appointments. For some physicians, the annual fee covers all office visits. At other practices, it only buys patients a comprehensive yearly exam, as well as same-day appointments and after-hours access. Whatever the model, patients still need traditional insurance to cover specialists' visits, hospitalizations and other diagnostic testing, such as MRIs. Many doctors shy away from the term "concierge" because it connotes that it's for an exclusive club. They are not practicing "wealth care," as a few of those interviewed termed it. Instead, these doctors are increasingly positioning themselves as health care providers for middle class Americans who value wellness. "Patients have made a decision to invest $4 to $5 bucks a day in their health," said Bret Jorgensen, chief executive of MDVIP, a concierge doctor network. The company has 230,000 members, ranging from chief executives to teachers, who pay their doctors an annual fee of about $1,700 a year, on average, on top of their insurance co-payments. For Carol Wendkos, 72, having the peace of mind that she and her husband can contact their doctor immediately in an emergency is worth $3,600 a year. They have had to rush to the hospital with serious conditions, such as mini-strokes or bleeding, after hours or on weekends. Their concierge doctors called the emergency room in advance, speeding them through the waiting room. Though her friends don't share her view, Wendkos considers it an additional insurance policy on top of Medicare. The couple, both former teachers, are willing to forgo expensive vacations and cut back on entertainment to cover the cost. "We like having the doctor available to us whenever we need him," said Wendkos, of Silver Spring, Md. "I know someone is going to take care of me." Overall, concierge patients skew upper middle class, with typical household earnings between $125,000 and $250,000 a year, according to Michael Tetreault, editor in chief of Concierge Medicine Today, which covers the industry. They also tend to be Baby Boomers, generally in their 50s to 80s, according to doctors interviewed. Share your story: Are you feeling squeezed by the rising cost of healthcare? Switching to concierge medicine allows doctors to better know their patients to either keep them healthy or address their medical problems, practitioners say. Instead of spending 10 minutes in office visits, they spend at least a half hour and do comprehensive testing and questionnaires, asking patients everything from their sleep patterns to their sexual health. Dr. Alan Sheff joined MDVIP 11 years ago to allow him to do what he went to medical school for: prevention and wellness. For example, when one of his patients went to the emergency room with abdominal pain, Sheff spoke to the doctor there and then called the man's cardiologist to discuss his medications. "I couldn't do it with what insurance covers for preventative care," said Sheff, who is Wendkos' physician and has practiced for 33 years. The Bethesda, Maryland, practitioner now has 550 patients -- instead of 3,000 -- who pay him $1,800 a year each. Some 97% of his patients come back year after year. Many concierge doctors also offer testing that insurance doesn't routinely cover. Some order blood tests that check for inflammation associated with heart disease. Others run body composition profiles to measure muscle mass and fat levels. Priority Physicians in Indianapolis recently started offering total body mapping to monitor for skin cancer as part of its annual fee, which runs from $1,200 to $7,500, depending on the patient's age. It says it's only the fourth in the country to provide this screening. Some in the medical industry say these additional tests are unnecessary in many cases and subject patients to needless stress and false positives. But advocates say that primary care standards are behind the times. For instance, Dr. Matthew Priddy of Priority Physicians started doing coronary calcium screenings years ago. Now, it's becoming more routine in hospitals. Concierge doctors argue that they save patients money by reducing their need to go to specialists and hospitals. "Patients who join have better control of chronic medical issues. That $100 a month is paid back relatively quickly," said Priddy, who also serves as president of the American Academy of Private Physicians. Still, the rise of concierge medicine is yet another example of America's health divide, where the well-off can access better care. While this has long been the case with specialists and hospitals, concierge practices push it deeper into the primary care arena. Nearly half of Americans said affording basic medical care is a hardship, according to a recent New York Times-CBS News poll. Nearly a third have gone without needed treatment because of the cost. With its added expense, concierge medicine is not available to everyone. "If you have more money, you can buy more care," said Ned Calonge, president of The Colorado Trust, which is dedicated to achieving health equity for state residents.